Help needed on some of the teacher’s names. This picture was taken during an exchange with U.S.A.
Monifieth teachers Miss Violet Fisher and Maureen Graham were in the U.S.A.
Jas Brown (Gym Teacher,Mrs. Agnes Smith (nee Dorward), Mrs Millie Stewart, Miss Sylvester (Music), Miss Dorothy Rattray, Mrs Frances Stewart, Mrs Beryl Low,……….? (Gym Teacher). 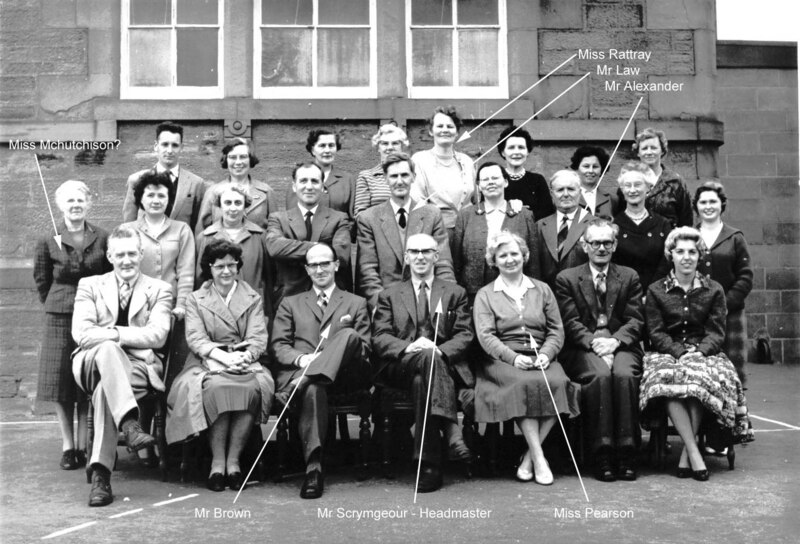 Mr Robertson (Technical), Miss Sandford ( USA Exchange), Mr Bill Brown, Mr Scrimegour (Head Master), Miss Pearson (Infant Mistress), Mr Morton ( Chemistry), Miss Campbell (USA Exchange). 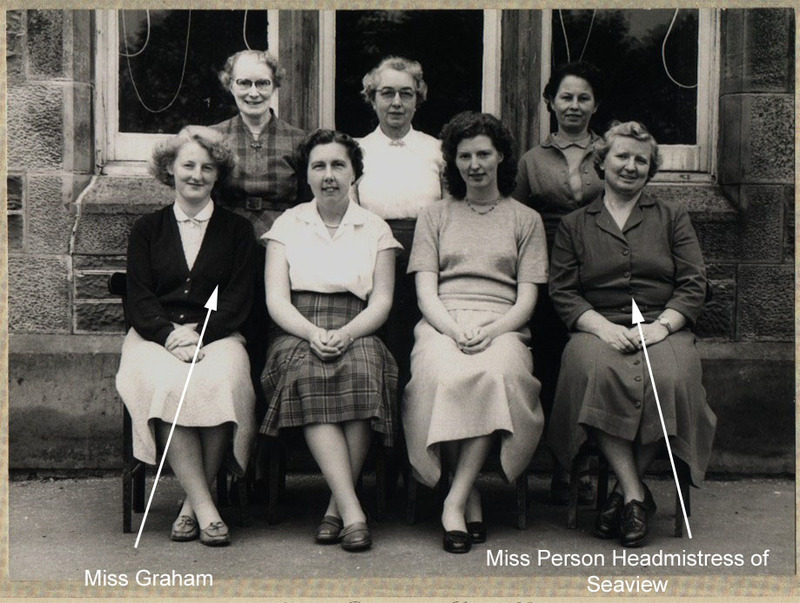 These photograph bring back many happy memories of my time at the old Seaview Primary School in Monifieth. I vividly remember, (pre-Christmas 1960?? ), as a special end of term treat, we were shown a cine film of Disneyland in America by Miss Pearson. This must have been filmed by one of the exchange teachers mentioned? I also had the privilege of knowing sisters Dorothy & Constance Rattray. Another special character at Seaview during this period, was the Janitor, Mr Munro and Tommy the tortoise. My father, Stanley Sturrock Donaldson, also taught at the Secondary School in Monifieth during this time. Thank you for posting these photographs!! This entry was posted in Articles, Names and tagged Seaview. Bookmark the permalink.